Comment: Fast Shipping From Amazon! Item in beautiful condition. Mint inside and out. You have the assurance that you will get your item in a timely manner. In the unlikely event something should go wrong with the shipping, you can contact Amazon to assist with the customer service, tracking or hassle-free return. "I just saw an advance copy of Markham Roberts' book. It is going to go NUCLEAR!! It may be the best design book I've EVER seen. WOW!!!" "A smorgasbord of design ideas from a designer known for his refreshing approach...examples run the gamut of Hudson Valley gentlemen's farm to Montana ski retreat, each showing his personal attention to detail and exquisite skills." 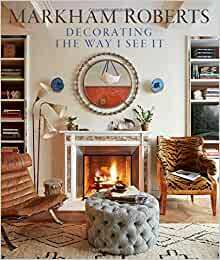 "Markham Roberts' comfortable approach to decorating and living is a breath of fresh air, and that's what helps to make his book so inviting. It's a book that you will want to add to your design library." "Markham Roberts is a master of timeless American style." "It is easily my favorite design book of 2014 as there is so much to learn and to be inspired by in the gorgeous pages of Markham's first design tome." "In this age where every top designer feels compelled to publish a portfolio book, Markham Roberts: Decorating: The Way I See It is one worth buying. Not only is it filled with gorgeous, inspiring photographs, you will find many a designer secret hidden among its pages." "The diversity, sophistication and exceptional personable touch he delivers project after project is truly outstanding. . . . I know you will adore this book and fall in love with Roberts' work like I have. It's an absolute must have for any design library. Don't pass on this one!" "Markham Roberts has written and composed a gorgeous book showcasing his work while incorporating meaningful tips and design details. If you are looking to take your decor to the next level, above well planned, this is the perfect book for you. Alternatively, if you're in the market for a coffee table book that will get your guests talking, this is the book." "I can't help but fall in love with this beautiful book. . . . Diverse, layered, effortlessly chic, sophisticated and inspiring, what's not to love about his design approach?" 5.0 out of 5 starsClassic design executed to perfection! Wow! I am devouring this book. The rooms are stunning, yet meant for living and seem to reflect the client. There's nothing contrived. So many of these room will stand the test of time. This will not only be a go to book for me, but one that is on the top of my list of all time design books. Beautiful book. I had the opportunity to hear Markham Roberts speak at a function-he is brilliant funny and laid back. Gorgeous and interesting. Not your run of the mill interior design book. WOW! Markham Roberts really sets a new high bar for interior design books with Decorating The Way I See It. I am an interior design enthusiast, and have collected a library filled the work of the great architects and decorators. This book is an important addition to my collection and any design library. I have followed Roberts' work for many years, and admire his inventive and non-obvious choices with color and pattern, which go beyond trends and really capture the mood of the place. He also really gets furniture, objects and art, all of which are used in new ways that seem unexpected but just right. His interiors age well, and will hold up over time, unlike the work of so many. There is a wide range of projects in the book, from around the country, and many projects that have never been published before. The photography, by Nelson Hancock, is exceptional, with incredibly beautiful and atmospheric lighting that further brings the rooms to life, in contrast to entombed look of so much interior photography. Along with the outstanding photography, the inventive layout of the book is both useful, taking one through the design process; unexpected, unlike the standard Rizzoli formula; and fun. I have read, reread, and re-reread this book so many times, and am still surprised to find something new at every sitting. Well done! Lovely book and AMAZING PRICE. Lots of beautiful pictures. 5.0 out of 5 starsLiterally bursting with design inspiration! "Decorating the Way I See It" is artistically rendered with detailed and provocative never-before-seen photos of Markham Roberts' work. No design book has a more wide-ranging documentation of interiors by one designer. An added bonus? Markham's writing is witty and crisp and further elevates the content --> not just a book of pretty pictures. He brilliantly illuminates his vast portfolio of work in this treasure of a book. Wow! The most beautiful, inspiring, and helpful design book out now. 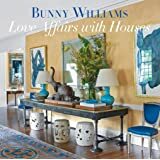 This book is filled with fresh and inspiring interiors, each one uniquely sophisticated and perfectly layered. The textured python cover beneath the books jacket make this the most chic coffee table book I have ever seen! Such a great gift. Beautiful interiors and furnishings, luxurious fabrics and design, very inspiring. One of the best interior books in my collection.